Dandycan headphones fuse high-quality sound with sustainable design | What Hi-Fi? 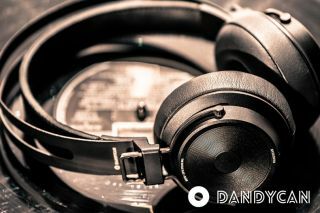 Dandycan has introduced its new headphones, which claim to offer a long-lasting durable design and high-quality sound. And to help them become a reality, a fundraising campaign has now launched on crowdfunding platform Indiegogo. Daniel Åhman from Sweden is the man behind Dandycan and believes that many other pairs of headphones have to replaced frequently because they're not hard-wearing and are designed poorly. In response to this, the Dandycan headphones have been unveiled, with leather and metal used in the construction and simple mechanical parts on the technical side of things. The cable and ear pads can be interchanged, with each pair available with an extra set of ear pads and a cable as standard. The ear pads and headband feature soft protein leather for added comfort and snug fit, while also benefiting from the use of memory foam. Dandycans come pre-angled at 5-15 degrees, which the company says is the most natural position for most wearers. Sound is delivered through 40mm high quality speakers, which put out a "natural sound". There are also plans to release the Dandycans in other colours and sizes in the future. The Indiegogo crowdfunding campaign is now live, where Dandycans can be pre-ordered for as little as $80 - a saving of $169. A fundraising target of $200,000 has been set, with the campaign running until October 3rd.